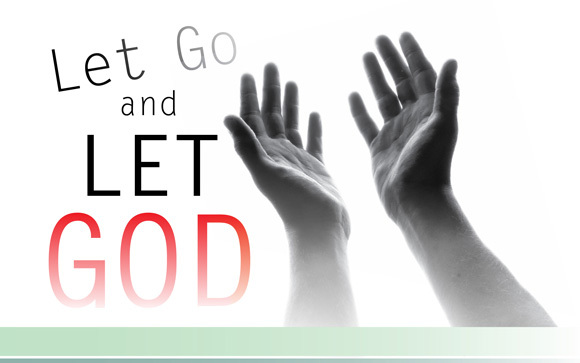 Today’s Menu: LET GO AND LET GOD ! Sometimes it’s so hard to let go of the past, success, relationships, memories, achievements, hurt, pain, and the likes. Sometimes, holding on seems to be the only way you know how. Let’s remind ourselves of Moses and the children of Israel caught in between the enormous Red Sea and the fiery army of Pharaoh. It’s a brand new day!! Make up your mind this year to LET GO AND LET GOD. He’s held the universe in space for many many years- He knows what He’s doing. Will you let Him in? This entry was posted in Devotionals and tagged devotional, Exodus, God, Israelites, let go, let God, Moses. Bookmark the permalink.